Guided and non-guided Canoe Trips for individuals and small groups in search of complete privacy. 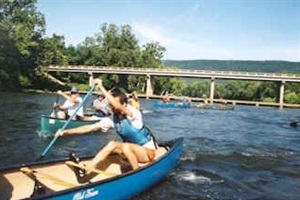 Shenandoah River Outfitters offers all kinds of river trips, from whitewater canoeing and kayaking to lazy tube floats or rafting. Enjoy one of their all day lunch and steak dinner canoeing trips starting with a hamburger for lunch and ending with charcoal grilled steak and chicken. Great for beginners and the more adventurous. 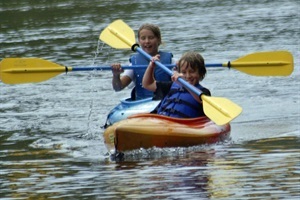 SRO also has special group rates for groups with 7 canoes or more.